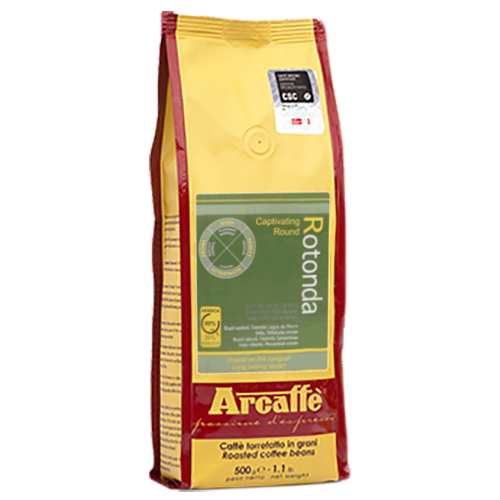 Arcaffè Rotonda coffee beans is a newer blend produced by Arcaffè since 1998. The blend consists of approximately 80% Arabica and 20% Robusta beans, both of high quality. Arcaffè Rotonda has good body and well rounded taste, which is also what the name means. The addition of selected Robusta beans produces a powerful, yet smooth flavor, with some sweetness and a very pleasant aftertaste.